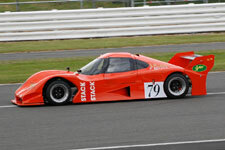 The new owner of the works LR1300 has been putting the car to good use at track days. He has been giving passenger rides and just generally enjoying himself, to quote "everybody is impressed by how fast the car is". 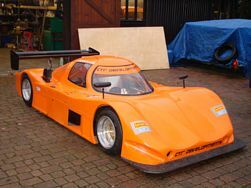 The car is now undergoing a winter rebuild ready for 2012. A lucky customer takes deleivery of a shinny new rolling chassis today just in time for Christmas. Mathew has called his LR1300 Arachnid. This car has been sold (Nove 2012) on ebay item number 261131020320 new owner unlnown. BikeSports 2nd September 2012 Donington Race 1 - ending in a class win! Bike Sports 2nd September 2012 - Race 2 - Race ebnded red flag. 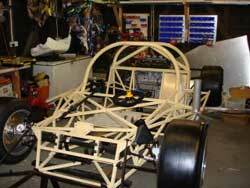 Another 2 rolling chassis have been sold in kit form to a buyer who wishes to remain anonymous.